No Bradley baseball player ever swung the bat with more efficiency than Joe Napoli. The long-time Peoria lawyer, who came to Peoria on a baseball scholarship out of the U.S. Air Force in 1957, not only won the only NCAA Division I batting championship ever produced by a Brave player, but he swung a torrid bat throughout his three year varsity career. Napoli, an infielder, hit .396 in his sophomore year in a 14-6 season for Bradley that was good enough for a second place finish in the Missouri Valley Conference East. He followed this with a .329 mark as a junior as Bradley went 19-5 and first place in the MVC East. Then, in 1960, Napoli produced his finest year, hitting .490 to lead BU to a 13-2 season and a second place finish in the MVC East. He led Bradley in hits, batting average, doubles, runs batted in and total bases. The .490 average led all NCAA Division I players in 1960 and gave BU its only national bat title. His .392 lifetime bat mark still leads all Bradley players who have played at least 50 games. He had just 17 strikeouts in his three years. Offered a tryout with the San Francisco Giants, Napoli decided to attend law school. 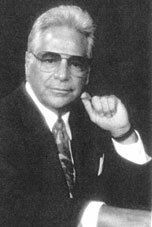 Napoli was co-founder of the Bradley Chief Club and as a sports agent worked with many Bradley athletes, including Steve Kuberski, Roger Phegley, Al Smith, David Thirdkill, Mitchell Anderson, Mike Williams, Hersey Hawkins, Donald Reese and Marcus Pollard. 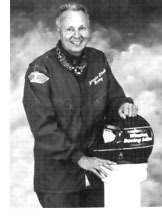 Don Bohlander won more stock car racing championships in Peoria than any other driver in the history of the sport. Seven years after he took a 1942 Ford Coupe onto a track for his first race in 1954, he won his first season championship at Mt. Hawley Speedway, the forerunner to the Peoria Speedway. He went on from there to almost unparalleled success. He won nine more season championships, took his first state championship in 1965 and then chalked up six more between 1967 and 1978. He won point championships at five tracks: Peoria, Mt. Hawley, Sterling, Freeport and Davenport. In 1974 and 1975 he was a regular on the stock car circuit of the United States Auto Club (USAC) and raced at such major tracks as the Daytona Speedway, Talladega, Pocono and Michigan International. During his 45 year racing career he won over 350 feature races at over 25 tracks, escaping serious injury in all but one race, a feature duel in 1982 at Tupelo, Mississippi when his car rolled end-for-end six times. Among his many honors he was presented a plaque in 1998, his final year of competition, calling him a Mississippi Valley racing legend.